Here at Brainy, learning is a synonym for fun. We cannot emphasize enough how the thrill of learning can enrich a child’s education. As such, it is our utmost mission to make sure the experience of learning is fun, interesting and engaging. At Brainy Learning Club’s Summer Camp Learning program, students will explore the joy of Math, English, and Science. We will combine the importance of these respective subjects with the joy of having interactive activities and tutors. For example, we will be using science experiments to guide the learning experience rather than just a textbook. We will be practicing math exercises with a focus on real-life applications to demonstrate the importance of mathematics. We will also conduct discussions on passages and essays to develop reading comprehension and writing skills. The fun doesn’t stop there! 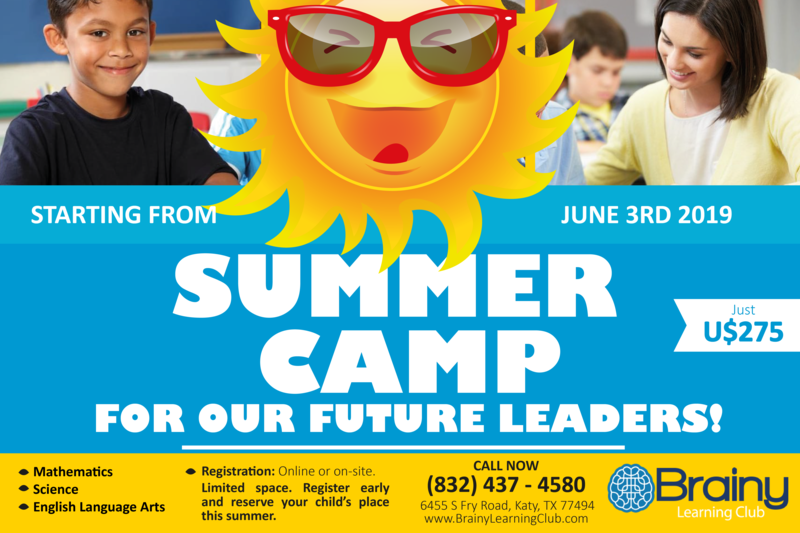 At Brainy Learning Summer Camp Learning program, we will be hosting other fun activities such as arts and crafts, chess coaching, and face painting to foster the creativity of a developing mind.